Do we personify the world around us? Sure. What good are we humans if not to convince ourselves that everything else is, somehow, like us? And yet, perhaps part of it is reducing our own status to acknowledge that through comparisons, we merely seek to become more a part of that world around us, to see our place in it. In the afterword to Dayton Duncan’s and Ken Burns’ (highly recommended)The National Parks: America’s Best Idea, Duncan describes, in his characteristically emotion-laden but down-to-earth way, an encounter he and his son had in Glacier National Park in 1998. The two were hiking to Hidden Lake–a trail that shouldn’t be overlooked in spite of its usual crowds–and found themselves alone on the trail. Well, almost. 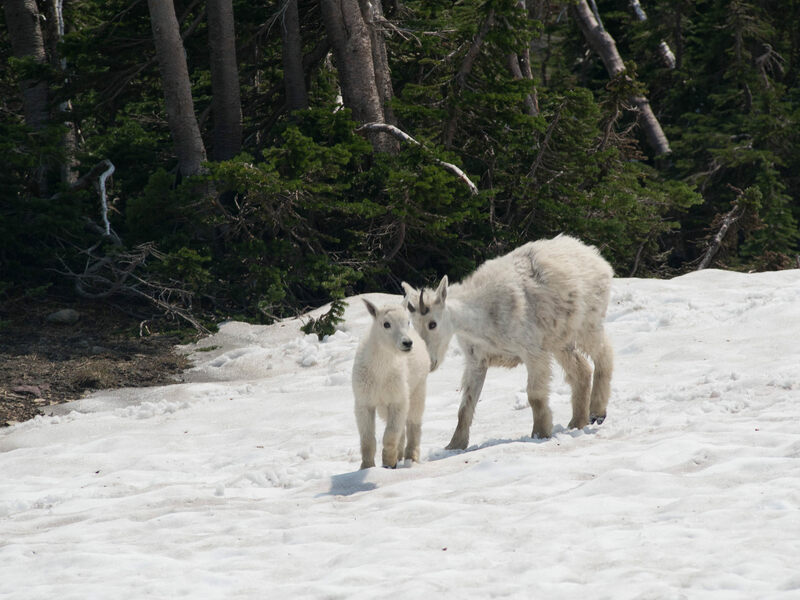 There was also a family of mountain goats passing by. “Will’s eyes were the size of saucers when one of the adults… paused briefly and looked him up and down before moving on,” he writes. Hidden Lake Trail, Glacier National Park, July 2014. 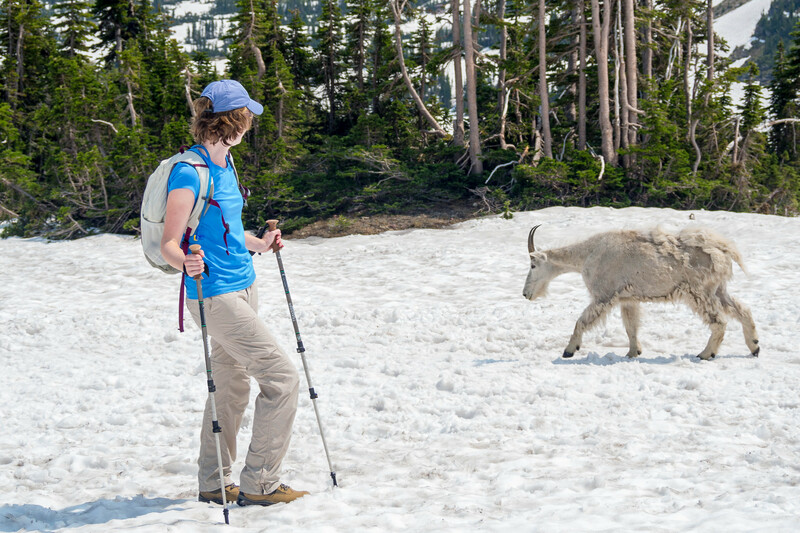 A goat and I pass each other on the Hidden Lake Trail, July 2014. I stumbled across the following article, “The Fox Who Came to Dinner,” in The New York Times today. It in, Karen Auvinen describes how she came to feed a fox on a regular basis. She and nature didn’t just look at each other; they interacted. I wondered, as I read, in what ways might such human participation in the lives of wild animals be an extension of being “part of it all” as opposed to interference in natural habitats? 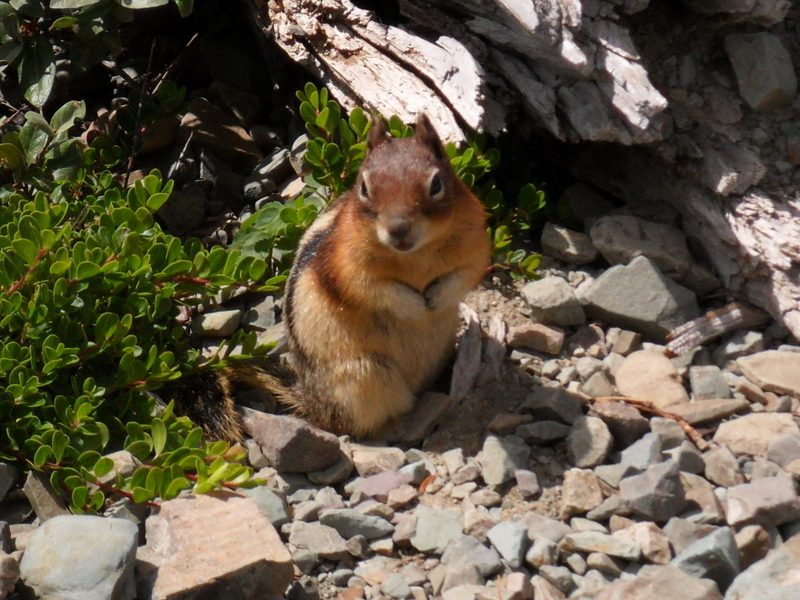 And yet, hadn’t she, through her many years of living on the mountain, become part of the habitat, after all? 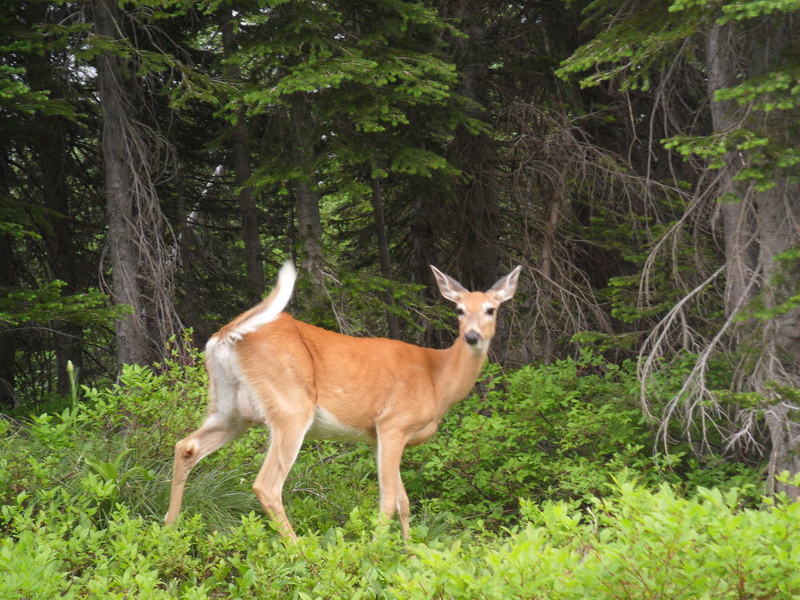 A deer toward the Many Glacier end of the Swiftcurrent Pass trail, July 2014. Food for thought…Thank you for taking the time to read OldPlaidCamper earlier, I appreciate it. Enjoy your day!